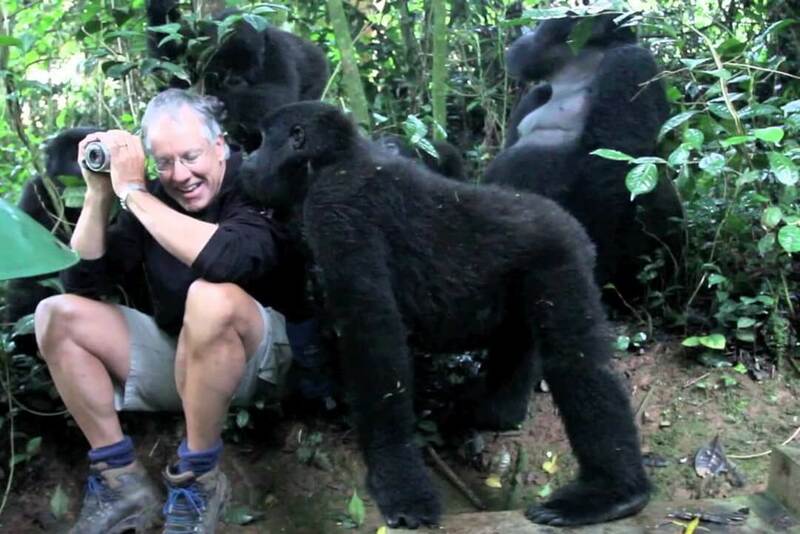 You might have done plenty of treks in your life time and probably checked all diverse environments but none can compare to the rawness of an encounter with the endangered Mountain Gorillas out in the wild on a Uganda Safari Tour. 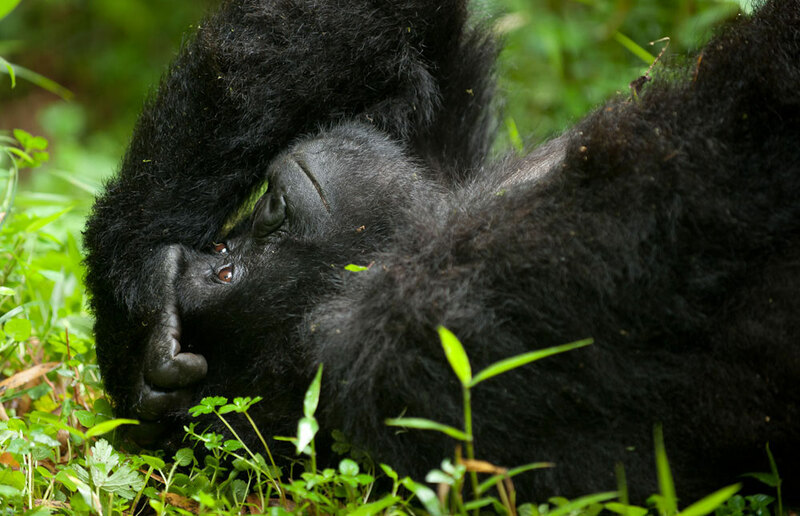 Uganda’s Bwindi Impenetrable National Park is home to over half of the only remaining critically endangered Mountain Gorilla population in the world. It is here in this World-Heritage recorded park that you can get up close with these fascinating apes in their natural habitat. 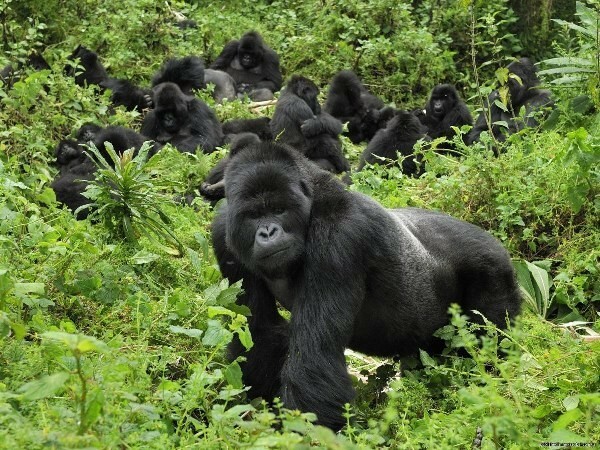 With the neighboring Gorilla safaris tour destination in Rwanda recently doubling its Gorilla Tracking Rwanda charges from $US750 to $US1500, there has never been a great time to see how these close cousins of ours live in the most amazing wildlife encounter on your Uganda Gorilla safari tour. The park itself is home to substantially much more than just Mountain Gorillas, despite the fact that they are the coveted kings of the jungle in this reserve. 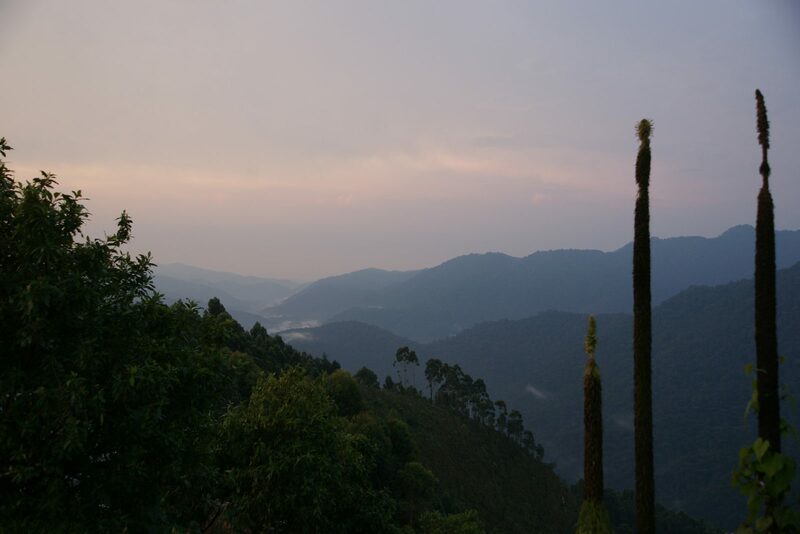 It has one of the world’s most naturally diverse rain-forests with more than 400 types of plants, 120 mammals and 350 bird species deserving of the binoculars especially for the birders. But the ultimate prize is, of course, an unforgettable encounter with a family of the critically endangered Mountain Gorillas in the wild. Rightfully and responsibly stepping away from what could have been mass exploitation of the gorillas, the tracking is conducted in small groups (up to eight people) with a leader and porters for assistance. The Uganda gorilla trekking guides are equipped with rifles, and this is to drive away the Gorillas on a rare possibility they tend to be aggressive, so you can be guaranteed of your safety in the jungle. These guides bring along machetes to cut through the thick jungle as you make your trek to your rare Gorilla seeing. Porters are there to assist on your walk through the thick, vine loaded jungle in case it becomes too tough for you, this certainly ain’t no walk in the park. Many people may snub the services of a porter however it is well recommended for two reasons; One is that the activity of trekking up the mountain to get a glimpse of the Gorillas in their natural habitat is a challenging and physically exhausting exercise, especially when steep inclines and dense vegetation is involved. Trekkers should be at least fit and prepared to face potentially humid, wet and muddy conditions, and you would surely need some who knows the jungle better. Secondly, utilizing the services of the porters helps to support the neighborhood community as many people in Uganda live on under $2.50 a day. Supporting local people, the conservation of the gorillas and the park is winning outcome for all. You should be physically, mentally and fashionably prepared — gloves are a must. Wearing gardening gloves may appear unreasonable however don’t underestimate the need for this. It is urged to wear full body protection including covering your hands for protection from insects, thorns and itchy stinging weeds. The best time to climb the steep slopes of the jungle to get a look at the Mountain Gorillas is during the area’s dry seasons — December to February and June to September. And the odds are in your favour as chances of finding a habituated Gorilla family is more than 90 per cent. Once the Gorilla family has been effectively tracked down by the guides, you will settle down with these amazing primates for a maximum of an hour as you watch their activities. To help preserve the habitats and livelihood of the gorillas, visitor numbers are restricted so it is well worth booking ahead of time. It is a surreal moment. After all the hardship of battling the wilderness, this moment is your holy grail. The moment when you realise you are totally out of your element and somewhat inferior to the rest of the natural world. In the wake of beating your way through the thick forests under the protection of towering trees, you discovered your long-lost jungle friends. Here before you, these giant, dark, long-haired apes are living out their lives in the most extraordinary of environments. Silence is golden while you look at these hunched and shaggy Mountain Gorillas just a couple of feet far from you. The Gorillas might be kings of the jungle however the moment you step out of it, you will feel on top of the world. This is a spine-tingling experience that would be difficult to top — mountain view and climbing included.